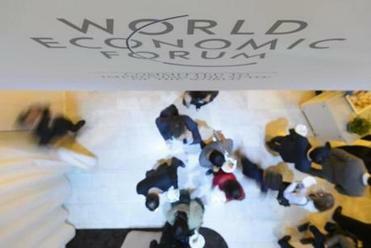 People left the annual meeting of the World Economic Forum in Davos, Switzerland. A certain amount of unfamiliar discomfort reinforces the sensation that all the participants have briefly returned to their student days. The average Davos bedroom is a monastic cell. The sandwiches in the Congress Center would dismay a hungry undergraduate. Also reminiscent of university are the lectures people like me are shipped in to deliver. But this Davos (which I rather enjoy) is in large measure a worthy façade behind which the real Davos takes place. The real Davos is about meetings: meetings in specially designated “bilateral” rooms, meetings in restaurants, meetings in bars, meetings in corridors and even meetings in bathrooms. Some are planned weeks in advance. Some happen on the spur of the moment. If you really want to know why people come to Davos, the best answer is: to bump into one another. 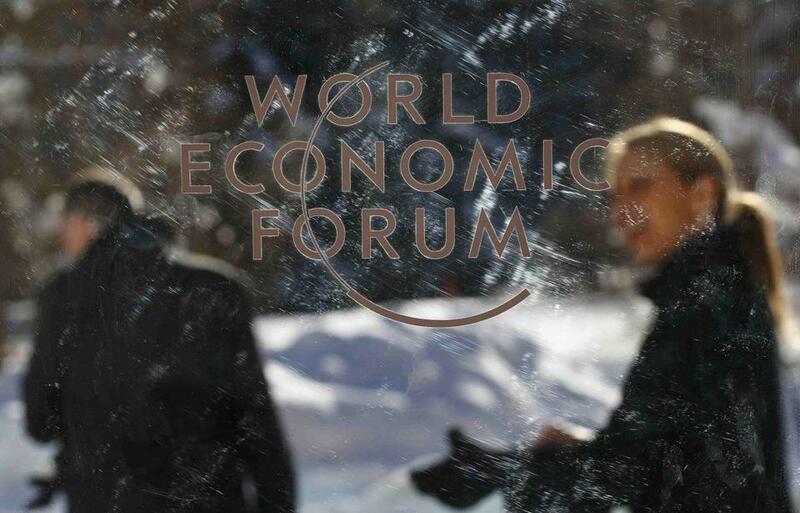 Davos meetings serve three main purposes. One is a combination of speed-dating and networking. In these four days you have a higher probability of meeting influential people than in all the rest of the year put together. The second point of it all is to do deals — not only the obvious business variety, but also political deals. My favorite example is the 1992 Davos meeting that persuaded Nelson Mandela to abandon the African National Congress’s policy of nationalizing the South African economy. It’s worth remembering that we live in an age of miracles. And the third objective of Davos meetings? I have come to the conclusion that it is to establish, by comparing notes all day and all night, an elite consensus — a set of views that, for the rest of the year, will ensure that one doesn’t say anything too ludicrous. This is the mythical “mood of Davos” that television anchors love to ask about. In theory, the mood should be set by the theme of the Forum (this year, “The Fourth Industrial Revolution”). In practice it is set by the day-to-day moves in financial markets. This year’s gyrations were extreme. Never has a year got off to a worse financial start for investors. The Davos mood was predictably affected. I heard one of America’s most eminent political commentators argue that Donald Trump stood a serious chance of winning the US presidency. I heard a renowned financial columnist put the probability of British exit from Europe at 30 percent. But the most pessimistic statement came from one of the Forum’s true oracles: the veteran hedge fund billionaire George Soros. In a blood-freezing interview on Thursday, Soros argued that the world economy is in a similar situation to the annus horribilis of 2008, with the difference that today the root cause is China, not American subprime mortgages. The only consolation I can offer is that, with remarkable frequency, the mood of Davos turns out to be quite wrong. In 2009 it was wrong that we were entering a second Great Depression. (I recall only two people correctly telling me that the US crisis was nearing its nadir.) In January 2011, too, Davos Man was wrong that the Arab Spring was the dawn of a wonderful new era in the Middle East. So why might even George Soros be wrong about the dawn of an age of global deflation? First, there is still a lot of amazing innovation going on in technology. The eye-catching new kids on the Davos block this year were the Silicon Valley stars Facebook, Palantir and Salesforce. And the various artefacts of the new industrial revolution on show in the Congress Center — notably the fully functional South Korean robot called HUBO and the various virtual reality gadgets — were impressive. Second, commodity crashes tend to correct themselves as supply shrinks in response to low prices. That will surely begin to happen in the oil market this year, especially if (as I fear) conflict in the Middle East continues to escalate. Third, Chinese demand for oil may be slowing but it has not yet fallen. Fourth, US consumers seem not to be feeling the Davos blues, to judge by surveys of sentiment. Of course, if Donald Trump confounds my Republican friends by winning their party’s nomination and then the presidency, then all bets will once again be off — until, that is, President Trump turns up at Davos in 2017 and reminds his fellow billionaires that, when all is said and done, he is really one of them: just another frisky Davos freshman, ready for four days of bumping, doing deals, and deciding the next Davos mood. Now that I think of it, I find that scenario even more frightening than Mr. Soros’s deflationary doomsday. Niall Ferguson is Laurence A. Tisch professor of history at Harvard and a senior fellow of the Hoover Institution, Stanford.